This Handmade Bohemian Crystal Adult Urn is handblown in a granite grey, with a high shine finish. Made from world famous Bohemian Crystal, characterised by having the same sparkle as diamonds. 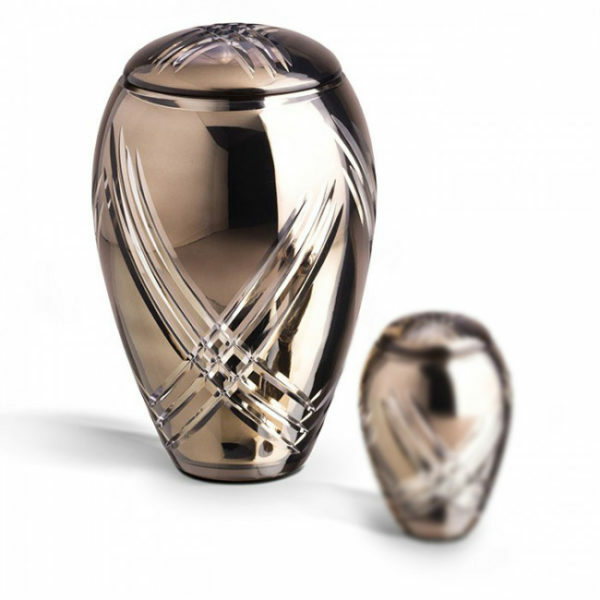 Each Adult Urn is handblown and is an exclusive piece of art. This Handmade Urn can be engraved.